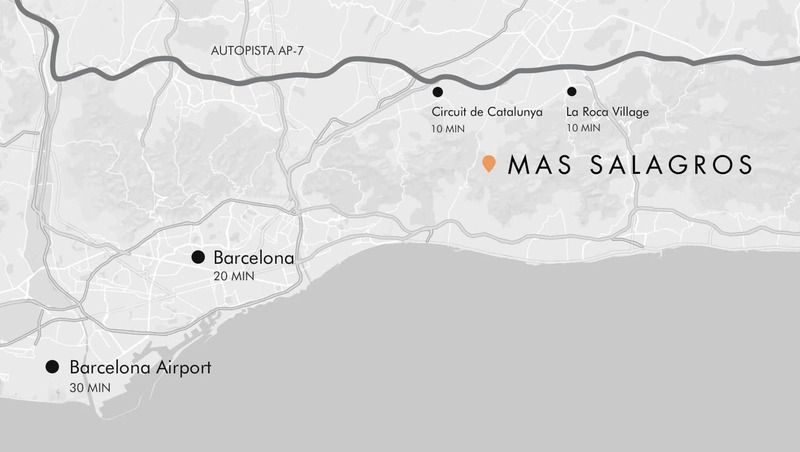 The Mas Salagros events rooms are perfect for hosting events just outside of Barcelona in a natural setting. Discover which one best suits your needs. At Mas Salagros, you’ll find the right space for your MICE event, reserved for a few privileged participants. The most important meetings often involve just a few participants and Sala Espígol is the perfect spot for these cases. This space at Mas Salagros is large and open. We’re sure it has everything you need to make your MICE event a success. Combining these two large, open rooms makes the largest space at the resort, with fantastic views and loads of natural light. The perfect place for those who’ve always wanted a private farmhouse for their celebrations. If you have any questions or would like to book one of our multi-purpose rooms for an event, don’t hesitate to contact us.